Vinification & Aging: Harvested in November. 24 hours skin contact. The wine was fermented in stainless steel tanks. After malolactic fermentation, the wine aged in stainless steel tanks for 10 months under cool temperatures. It was released after 5 months in bottle. Description: Concentrated tropical fruit aromas. Full-bodied on the palate. 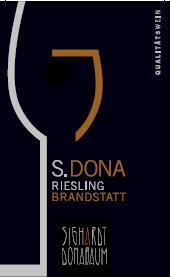 Good acidity level and a long lasting, velvety finish. Food Pairing: Excellent with sweet/sour dishes, Asian cuisine.